Luis has 12 years’ experience in corporate management of health & safety management systems within the retail and distribution sectors. His previous role he provided support and advice to corporate retail & distribution managers around the UK and Europe. Luis gained his Masters in Occupational Health (Policy and Practice) at Cardiff University. His specialisms include audits, inspections, risk assessments, safe systems of work, policies and procedures, fire safety including emergency preparedness and response, accident investigations, employers’ and public liability claim management and occupational health case management. Luis’s role within the EHS&S team will be to work on our existing client accounts with a focus on Health & Safety compliance provision. 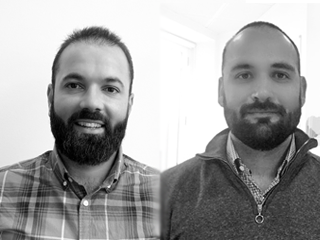 Victor Gomez joins the geo-environmental team in London. Having worked as an Environmental Consultant for seven years, Victor’s last role was at AECOM Infrastructure; he was involved in the Shell Delivery team working on a variety of quick turnaround projects requiring desk studies, site investigations and reporting, along with tank remediation exercises. Victor graduated with a Masters in Geo-environmental Sciences from the University of Granada (Spain), and is a member of the Society of Environmental Engineers. Victor’s role within the southern team will include geo-environmental site investigations, reporting and mentoring the junior teams.